Fla. Governor Leaves Meeting With U.S. Health Secretary Empty-Handed : Shots - Health News Despite a "good conversation" with Health and Human Services Secretary Sylvia Burwell, Gov. Rick Scott gets no sign that Florida will receive the more than $1 billion he wants for health care. Florida Gov. Rick Scott speaks Wednesday with reporters in Washington, D.C., after a meeting with Sylvia Burwell, head of the Department of Health and Human Services. Florida Gov. Rick Scott paid a high-stakes visit to Washington D.C. on Wednesday, in hopes of persuading the Obama administration to continue a program that sends more than $1 billion in federal funds to Florida each year to help reimburse hospitals for the costs of caring for the state's poor. Uncertainty about the future of the program, slated to end June 30, has created a hole in the state budget and paralyzed Florida's legislature. "We had a good conversation ... but we don't have a resolution," the Republican governor told reporters after an hour-long, private meeting with U.S. Secretary of Health and Human Services Sylvia Burwell. Sec. Sylvia Burwell, head of HHS, says Florida was alerted a year ago that federal funding of the program to reimburse hospitals would end June 30, 2015. Burwell's office issued a written statement after the talks, saying that Florida's request "falls short of the key principles HHS will use in considering proposals regarding uncompensated care pool programs." Gov. Scott contends that a letter HHS sent to Florida last month linked the expiration of the fund for hospitals with Florida's refusal to exercise its option to expand health insurance coverage through Medicaid. Scott filed a suit against HHS last week, alleging that the federal government is trying to coerce the state into expanding Medicaid. The governors of Texas and Kansas, which receive similar funding to help their hospitals, have said they support Florida's lawsuit. But after meeting with Scott, Burwell insisted that "whether a state receives federal funding for an uncompensated care pool is not dependent on whether it expands Medicaid." Whether to expand Medicaid, or not is "a state decision," she reaffirmed. That seemed to leave open the question of whether some funding might still be available for the hospital program — albeit at a lower level — if a state does not expand. Scott said he needs an immediate answer from HHS on how much money, if any, the administration might provide, so that he and Florida's legislature can complete their budget deliberations. "We need our answer right now," he said. Burwell indicated Scott might have to wait a while longer. "HHS heard the Governor's request for a timely response to help the state meet its budget timeline," her office said in the written remarks. "HHS believes completion of the public comment period, on-going discussions with the state, and the state's submission of its proposal to CMS are the next steps in the process." The 30-day comment period has about two weeks remaining. Florida is one of 21 states that chose not to expand Medicaid under the Affordable Care Act. That left about 800,000 Floridians without health insurance. 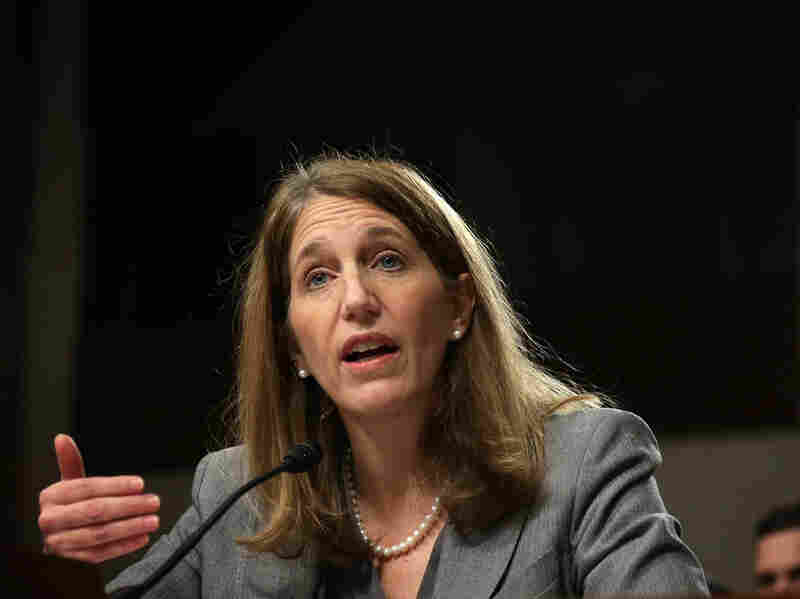 Burwell has said HHS prefers that the state expand health care coverage via Medicaid, rather than continue full federal funding of the low-income pool that subsidizes hospitals. The bitter dispute over Medicaid expansion between the Republicans who control Florida's House and the Republicans who control the state's Senate led the Florida legislature to adjourn last week without passing a state budget for the fiscal year that begins July 1. Lawmakers are expected to return to Tallahassee in June to resume budget deliberations. Florida's House has adamantly opposed expanding Medicaid, with House Speaker Steve Crisafulli last week calling it "a broken system, with poor health outcomes, high inflation ... federal strings, and no incentive for personal responsibility for those who are able to provide for themselves." But on Wednesday, Scott had good things to say about how well Medicaid was working in Florida. In the past two years, the state has turned over most of the Medicaid program's operations to private Medicaid health plans. "We now have a program that works," Scott said. "We know what it's going to cost us. We have insurance companies responsible for taking care of Medicaid recipients, and we have Medicaid recipients who know who is responsible for their care. ... And we now have a budget surplus." Nonetheless, Scott said he doesn't trust the federal government's promise to fund Medicaid expansion under the health law; he fears the state will be on the hook to pick up too much of the cost. The federal government is paying all the costs through 2016, and then is to pay at least 90 percent of the costs. 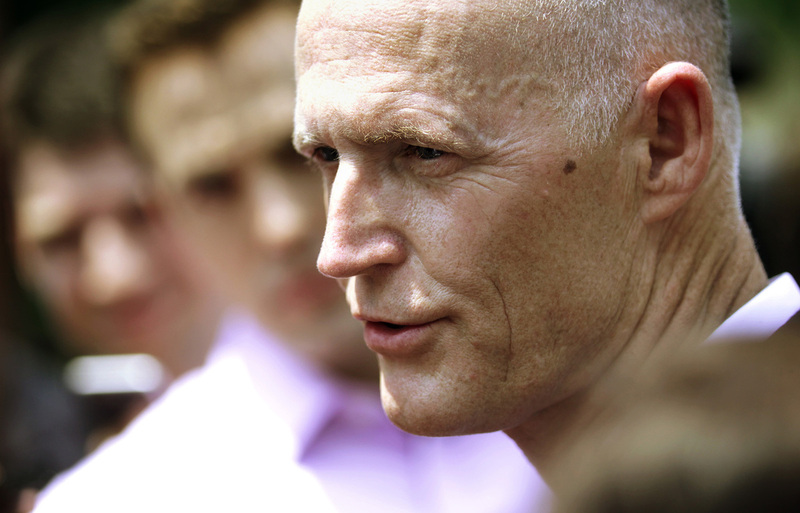 A year ago, federal officials warned Florida leaders that the low-income pool that subsidizes hospitals would end this year, but Scott included the money in his proposed state budget anyway.